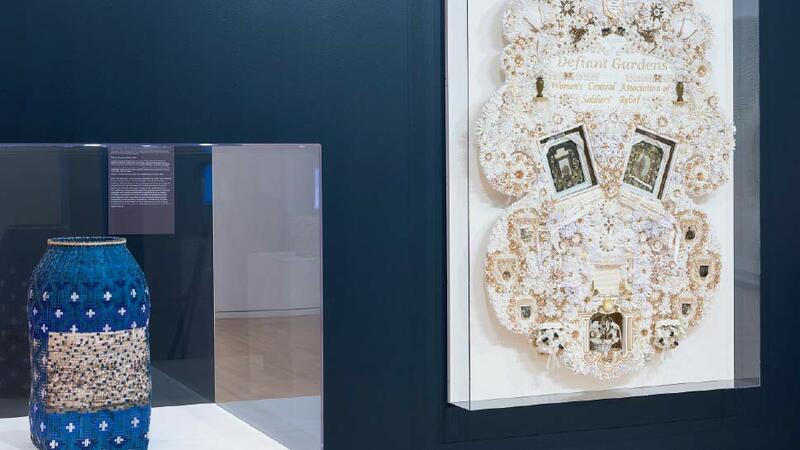 For nearly four decades, Northwestern University’s Block Museum of Art has staged exhibits that are as revelatory as they are relevant. Now, the institute is celebrating its latest cultural coup with If You Remember, I’ll Remember, a thoughtful examination of 19th and 20th century North American history that calls for reflection. 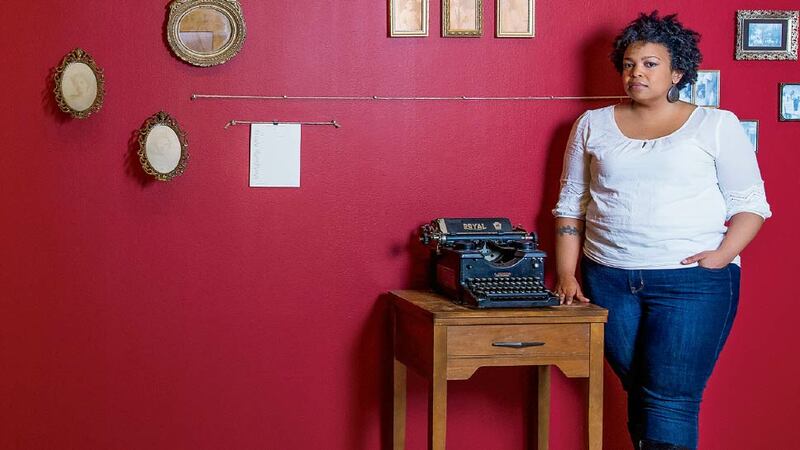 Among the seven contemporary artists showcased in the main gallery exhibit is Chicago’s own Samantha Hill, a transdisciplinary artist whose featured installation, Herbarium, explores a theme critical to our past, present, and future: civil rights. 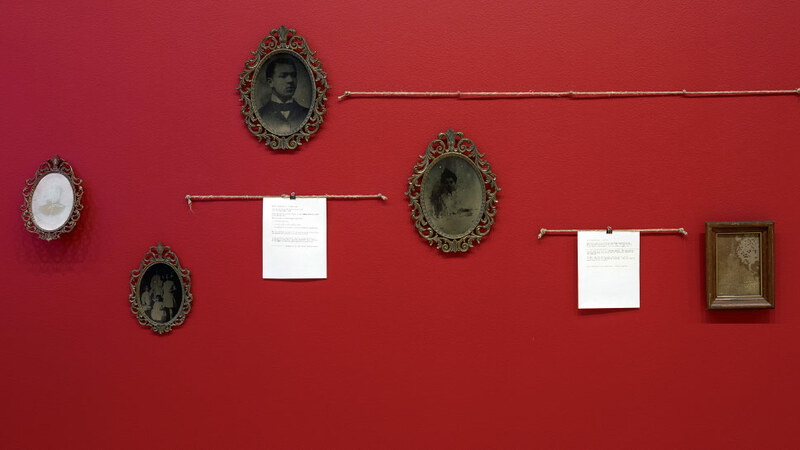 Hill’s installation, which she debuted at the Hyde Park Art Center in 2015 and expanded for the Block, is part of the Kinship Project, which revolves around a 3,000-piece archive she has amassed in the form of photography, letters, scrapbooks, and objects relating to American history between the years 1839 and 2010. The process of Herbarium began two years ago: A friend of Hill’s approached her with a box that he’d stumbled upon while cleaning, only to discover that the box was filled with a herbarium (a book containing dried plants), photographs, and letters dating to the 1800s. “Some things were wrapped in paper and marked ‘Keep,’” says Hill, who recalls marveling at the notion of these items being intentionally passed from generation to generation. Hill learned that the objects originally belonged to the Mason Family of Birmingham, Alabama, and after spotting “Dr. Ulysses Grant Mason” written in Victorian script on one of the faded photographs, she soon realized that the African-American physician played a key role in building Birmingham’s black community. To wit, in 1907, Mason and his peers raised more than $25,000 to construct the new 16th Street Baptist Church—the same site that, half a century later, would gain worldwide attention for the racially-motivated bombing in 1963 that killed four little girls. Aiming to make a connection between 16th Street Baptist Church and the 2015 church attacks (like the Charleston massacre) that dominated recent news coverage, Hill crafted Herbarium by introducing the Mason Family and telling the story of their achievements—which she mapped out using era-appropriate Victorian flower code to shed light on her research process. That comprehensive approach is a hallmark for Hill, an educator at the School of the Art Institute, Harold Washington College, and Hyde Park Art Center who, in her artistic practice, strives to create engaging, immersive works that disrupt what she refers to as “gallery etiquette.” Considering the broader context of If You Remember, I’ll Remember, though, Hill’s technique with Herbarium seems especially poignant. “This installation gives you space to reflect on what occurred in the past [and see] how people survived, and it’s a strategy to keep the stories moving and [see] how things have changed but then happened to stay the same,” she says, noting that restroom legislation continues to be a recurring theme in our nation’s discourse. If You Remember, I’ll Remember is curated by Janet Dees and runs through June 18, 2017, at the Block Museum of Art. The museum is free and open to all. If You Remember, I’ll Remember, installation view, Block Museum of Art, Northwestern University, February 4-June 18, 2017.